Motherhood is a lot of things – dirty, draining, and sometimes even downright degrading – but it’s not often we hear that it’s disappointing. The taboo topic was in the spotlight a few weeks ago, thanks to an article in The Sydney Morning Herald where three mothers shared their personal experience of maternal remorse with journalist Dilvin Yasa. I don’t agree with Yasa’s opening statement that our society “idealises and sanctifies motherhood”. If we really did, new or soon-to-be mothers wouldn’t be considered liabilities by their employers. Instead, they would get the recognition and financial support deserved for taking on the mentally and physically demanding role of caring for and raising the next generation. It’s probably not what Yasa intended, but her article had me questioning – perhaps it’s not the motherhood experience that causes regret, but the lack of support women have when their role in society changes from independent agent to caregiver. Our society knows how to encourage, reward and applaud the former, but constantly fails to do the same for the latter. I went to an all-girls high school where every student was encouraged to assert independence, aim for the top, break glass ceilings, travel around the world, changing it as we go, and at some stage (not too early, but not too late), should we want to, squeeze out a kid or two. No pressure. Of course we could do it. Because women can be, do and have everything and anything we want. We can have it all. Well, I certainly can’t. Nor can many of the other disenchanted, burned-out mothers I know. Instead of feeling accomplished, we constantly feel like we’re failing ourselves, our families and our feminist forerunners. 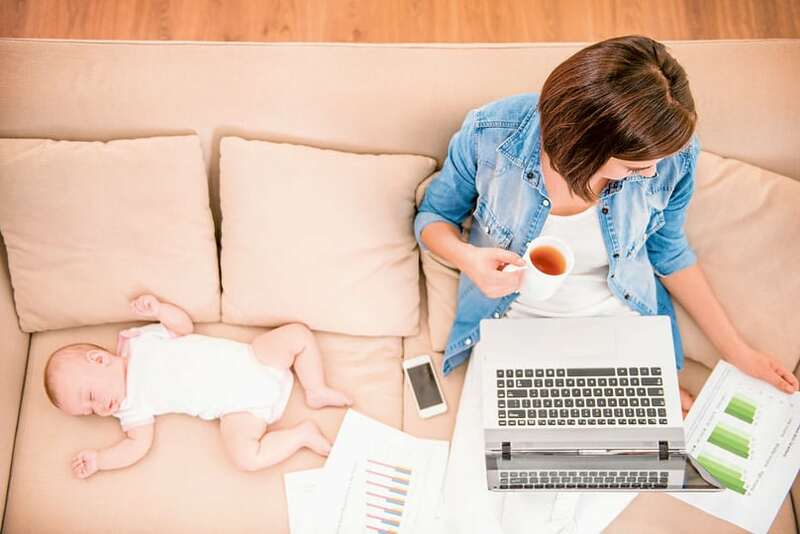 For millions of women around Australia, “having it all” means dealing with the demands of paid work while still being the primary caregiver and shouldering the lions share of household management and chores. And, quite frankly, it’s exhausting. Continually telling women that we can do and have it all puts the pressure on mothers to find the impossible balance between our careers and families, all the while absolving fathers, employers, schools and governments from their responsibility to provide proactive and practical support. It’s not just the mother’s job to raise the next generation; it’s everyone’s. So I applaud Yasa for her article and the three women for talking about their regrets because while they risk being socially vilified for speaking the unspeakable, perhaps talking openly and honestly about the losses and sacrifices that motherhood demands will allow us to admit that the feminist narrative we grew up with is wrong. Women can’t be, do and have everything. Something’s got to give. For 44 year old Rhonda, motherhood meant sacrificing freedom. For 43 year old Leanne, it was her sense of identity and agency. For 26 year old Gillian, it was job opportunities and friendships. These losses are real, tangible, and familiar to me, and many of the mothers I know. What surprised (and saddened) me is that the three women in Yasa’s article either weren’t prepared to experience these losses at all, or they’ve struggled to accept and work with them, even over time. I think that’s where the feminist narrative has failed many of us; by having us believe we can choose anything, we wrongly assume we can have everything. We’ve grown up with an abundance of choice – from what we eat, wear, drive and study, to where we live, work and travel. But the ability to pick any path doesn’t mean we can walk down every path; each time we choose one, we naturally forego the others. Perhaps the idea of foregoing certain experiences isn’t palatable in a society where so much is instantly available at a click of a button or the tap of a credit card. But as uncomfortable as it may be to admit, sacrifice is a necessary and unavoidable part of life, regardless of our chosen vocation. As a mother, I know I don’t have the same freedoms my childless friends enjoy. By the same token, my childless friends don’t experience the same joys that I do. Missing out doesn’t mean any of us are failing. Instead of continuing the myth that women can have it all, we need to tell our girls (and boys) the truth that leaning in at the boardroom table sometimes requires us to lean out of family life, and that being more active at home sometimes requires us to sacrifice steps in the career ladder. When we’re honest about this, we can start working towards the changes required to support and encourage mothers and fathers in both environments. We can start to request more flexible work options from employers who’ve traditionally turned a blind eye to the demands of young children. We can start looking at policies that provide fulltime caregivers with the financial, mental and educational support they need to not only do their job well, but also regain a sense of recognition, confidence and freedom they feel was lost when they left the workforce. Perhaps, by having more honest conversations about the reality facing mothers and fathers today, we can start working towards ways to better prepare and support those entering these new roles, and avoid any regrets and disappointments in the future.